Is having a live presenter the next thing in bingo? I wrote about bingo back in the beginning of december, Why do all bingo clients look the same? Where are the innovations?, but there are a few companies doing some innovations. We have seen Live Casinos (where you play online against a real dealer) for a while and now it is showing up in bingo clients as well. One company doing this is Atac Media. I think having a real person calling out the numbers will be more fun. The problem is that I couldn’t try it out. 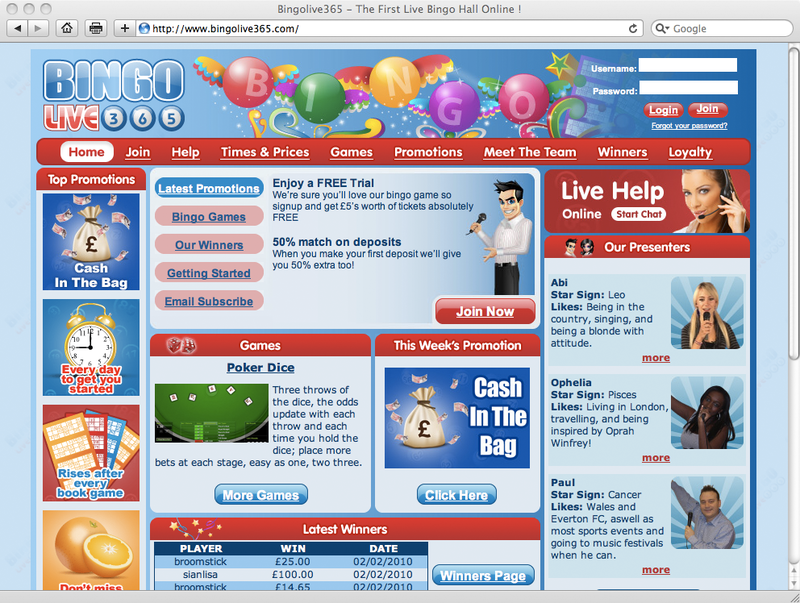 The bingo opens at 9 am (GMT), so you can’t play 24 hours a day. I’ll try it out later today and see how it works.